Chef Tyler McNabb, Holly Hill Inn, Midway, Kentucky. Photo credit: Ouita Michel. 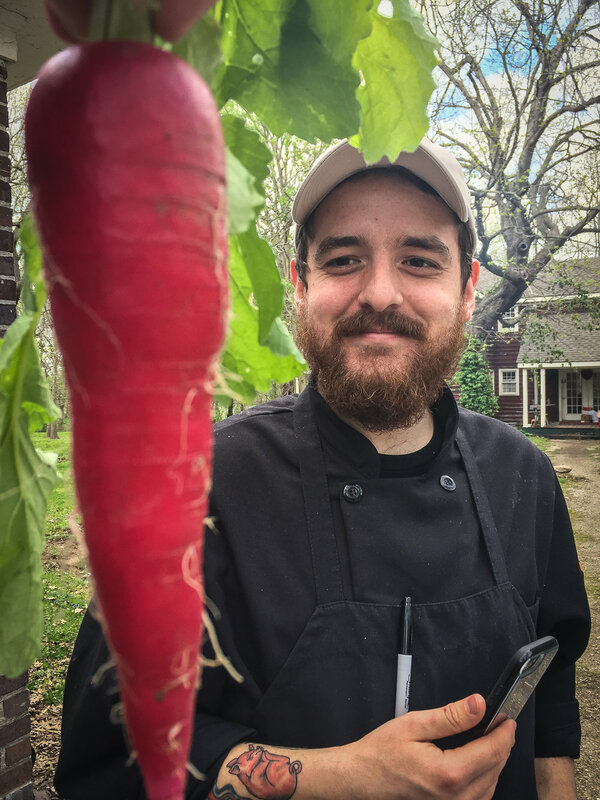 Holly Hill Inn Chef Tyler McNabb always knew he wanted to feed people. In this episode, he credits his two grandmothers, Nan and Mamaw, for engaging him in the joys of Kentucky food and foodways. Nan—Ruth Ann Jenkins McNabb, "a wonderful hostess and party-thrower,"— and her husband were known for generous hospitality, tents in the backyard, feeding crowds of people. Nan favored crystal, crudités and appetizers like cream cheese with Nan's own homemade pepper jelly. Mamaw—Peggy Davis—"the messiest cook"—cooked huge amounts of delicious foods for her loved ones. Regular weekend breakfasts included fried country ham, biscuits, gravy and fried apples. She taught Tyler to cook essentials like skillet fried chicken. Immerse yourself in this beautiful story of the making of a splendid young chef. At 26, with seven years already in professional kitchens, Tyler McNabb has already influenced Kentucky's unfolding food culture, and he's just getting started.